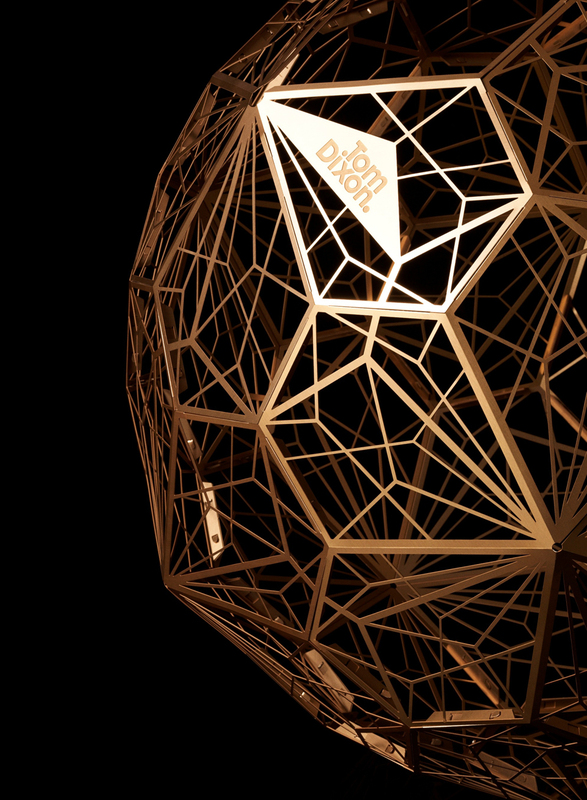 Tom Dixon is lighting the way of the future with Luminosity, a new range of lamps, lights and shades that can be seen at the Milan Design Week. Tom Dixon is on a mission to illuminate and furnish the future with “Luminosity”, a new range of lamps, lights and shades that will be presented at MOST at the Milan Design Week. Presented in a series of illuminated environments, Luminosity aims to “demystify” preconceptions of artificial light, while also educating people about the future of lighting. 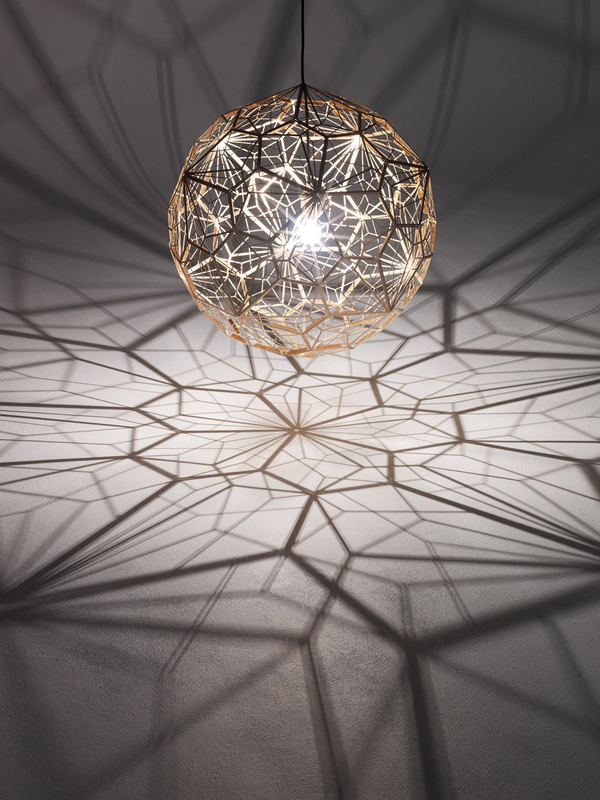 Dixon used the latest technologies and materials, drawing on the disciplines of maths, engineering and nature to create “new products that shed as much light on the mechanisms and effects of luminous objects as on the design aesthetic itself”. Luminosity includes the Fin Light, which is described as “an ode to engineering”. Proudly exposing its inner workings, Fin is built of components usually totally hidden from view, including a heat sink, a giant acrylic lens and 6 LEDs. Etch Web is a vast 65cm wide shade with an unusual open structure, designed to cast atmospheric angular shadows when lit. Inspired by mathematics an irregular pentagon shape is repeated across the body to create a total sphere. The digitally manufactured, Etch Shade and Etch Candleholder are now available in two new colours, copper and stainless steel creating a trio of finishes in the Etch family.